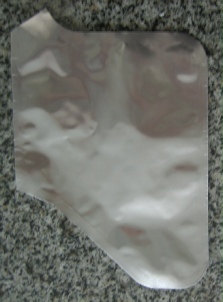 Custom bag shapes can be made by heat sealing together film laminate materials to form custom shaped medical product. Various medical products, industrial and consumer products can be made by this equipment. 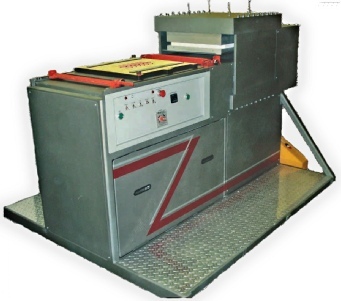 Custom heat sealer elements and custom die cutter will be designed according to your specific needs. 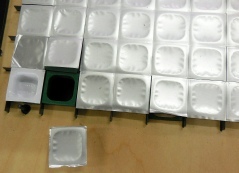 Assembly of medical products, and custom shaped bags, using thermal forming being assembled by multi-element heat sealer press. Die cutting is built into this heat sealer/die cutter combination. 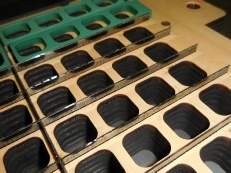 Custom heat sealed blisters can be cut from larger master trays into individual sealed tray packets.